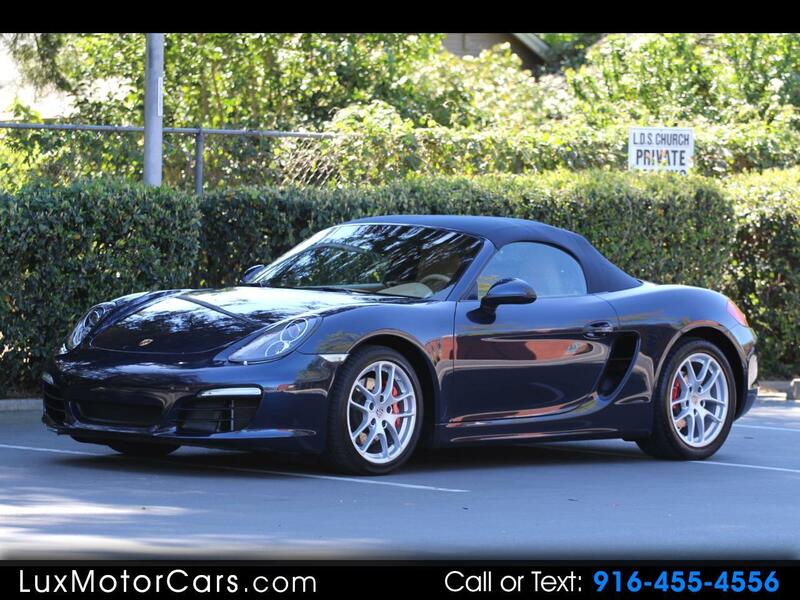 This absolutely pristine 2014 Porsche Boxster S comes offered for sale in Dark Blue Metallic over a Luxor Beige leather interior and comes very well equipped from the factory with options including PDK Transmission, Premium Package, Power Sport Seats with Memory, Heated/Ventilated Seats, Porsche Dynamic Light System, Light Design Package, Power Steering Plus, Multi-function Steering Wheel, and Infotainment Package with Bose Surround Sound System just to name a few. This vehicle was fastidiously maintained by its previous owner both mechanically and cosmetically. The body and paint are essentially perfect and it comes offered for sale just having had a fresh oil change, new brakes, new tires, and a new battery.